Have you ever wondered what women need to succeed in business? Sheree Rubinstein may have cracked the code. In order to thrive as a female in the business world, one should showcase the core values of support, community and innovation. As the founder of One Roof Women, Sheree founded a space that brings women together to provide everything their businesses need to thrive. Want to know more about Sheree’s journey and mission? Read on! The first time I ever stepped foot in a co-working space was when I left my corporate legal career and decided to try something new so I put myself forward for a hackathon. In fact it was the first all female hackathon in Australia called She Hacks which was run by Girl Geek Academy. It was a 2 day intensive hackathon run out of Inspire9. Not only had I never heard of concepts like coding, HTML and lean startup but I had also never been to a co-working space before. It was the start of a massive career change. What is your involvement with One Roof Women? When did it open / why did you start it? I began my career in the corporate world and realised very early on that there is a significant gender gap in business, leadership and entrepreneurship. I realised that the simple fact of being a female can negatively impact my chances of success. I was determined to change this. 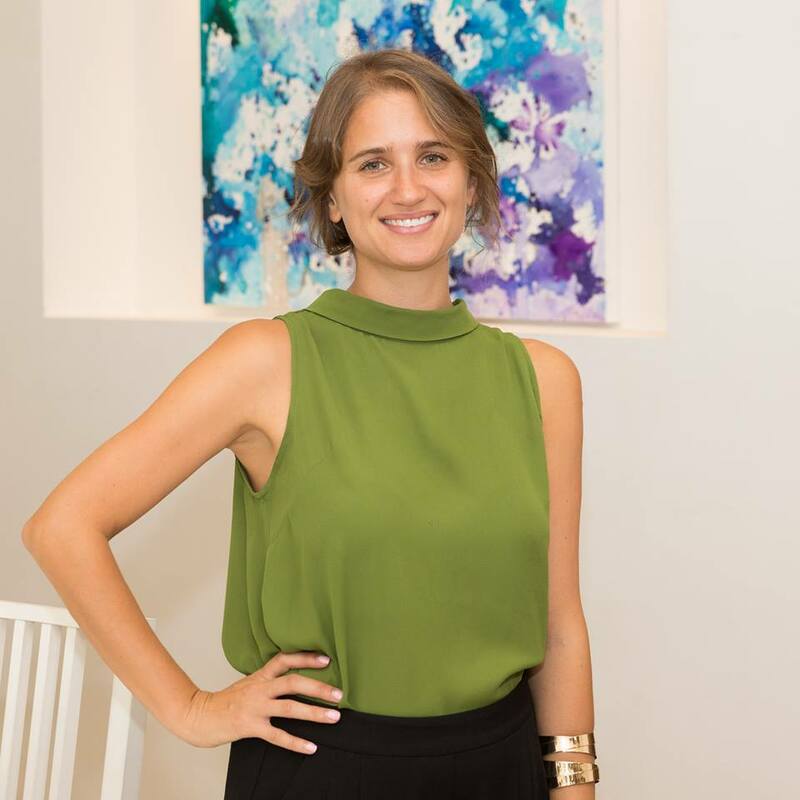 At the time I met a woman Gianna Wurzl, who was as passionate about supporting women as me (now Gianna runs Quilt in the USA – co-working for women in their homes. Together we ran events and focus groups to garner insights around what women need to succeed in business and what they feel are the barriers holding them back. We came up with the idea of One Roof – a physical space and community providing everything women-led businesses need to thrive under one roof. We tested the concept in an Airbnb home in St Kilda. For one week we turned a home into a fully fledged co-working space. The bedroom became a meeting room, the kitchen a workshop space and the lounge room a hotdesking area. We curated a program for the week with meditation sessions in the morning, workshops with experts in the afternoon and events every evening. In one week 400 people came through the doors, engaged with our offering and absolutely loved what One Roof was about. We knew we were on to something big. From there we tested One Roof in unique and underutilised properties including airbnb homes, a surf lodge, retail spaces and boutique shopping malls. We did this in 4 cities across 2 countries –Melbourne, Sydney, LA and NYC, building a global community of tens of thousands of women. We settled on our current home in Southbank. We occupy over 1000 sqm and we are home to over 80 women-led businesses including small businesses, high growth startups, social enterprises, not for profits, freelancers, creatives and corporates. In the 2 years we have been based in Southbank we have become Australia’s leading co-working and event space dedicated to women-led businesses. 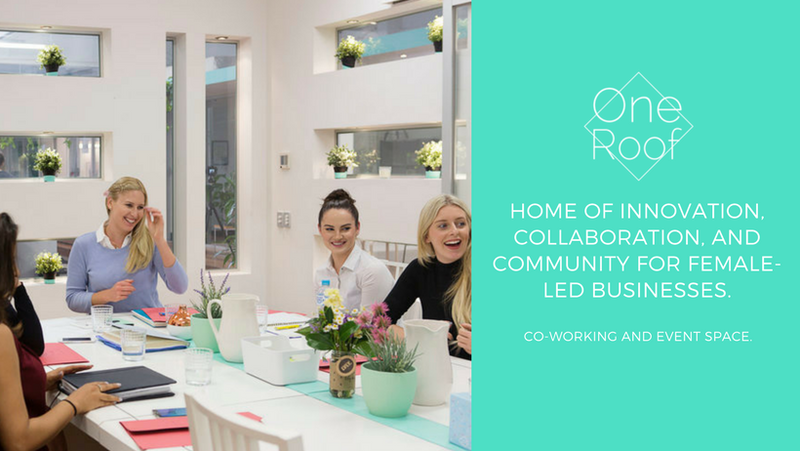 One Roof’s vision is to become the #1 trusted brand for women in business and we are on a mission to remove the barriers that exist for women to succeed in business with co-working spaces in most major cities around Australia in the next 5 years. How would you describe the community at One Roof Women? One Roof is premised upon 3 core values – support, community and innovation. The community at One Roof shares these core values. Our members are passionate, daring, disruptive, bold, ambitious and impressive. They are also incredibly supprotive and caring. One Roof members want to elevate each other and are constantly offering their time and services to one another. One Roof members love to meet, connect and share stories, recources and ideas. They love to collaborate and they want to see each other succeed. There is an incredible buzz in the space and it is a truly powerful network. What are the benefits of a female focused coworking space? One Roof exists to remove the barriers that prevent women from succeeding in business. One Roof has been designed by women thinking about how best to support women-led businesses. It is important to note that One Roof is not women only. All members are female-led businesses which means they have a female founder, cofounder or CEO. One Roof is a warm and welcoming environment. We create a space and platform for women-led businesses to truly thrive. So many co-working spaces, programs and environments are male dominated and have been created with a male lense. One Roof has been created to ensure women feel confident, comfortable and connected. Women-led businesses love to work from One Roof because they feel a sense of belonging and because events and programs are tailored specifically to their needs. There is a true sense of support, community and collaboration at One Roof. A community market event where our members could showcase their products and services to the public. Coffee on us on Mondays where we purchase a coffee for all our members and create an opportunity for memebrs to connect. We have a list of subject matter experts who spend time working at One Roof and offering open office hours including legal, accounting, investors, social media, marketing, tech, branding and sales. We partner with a range of different organisations to put on events that are relevant to our members including The League of Extraordinary Women, Business Chicks and Startup Victoria. I wrote an article about this titled. We are a coworking space built on community not a million dollar fit out. There are 5 key elements to a co-working space in this blog. Meeting the most amazing, inspiring and intelligent people I have ever met. Everyone at One Roof is putting themselves out there, doing something they are passionate about and giving entrepreneurship a go. I love being surrounded by such impressive individuals who are creating signifciant and meangingful change in this world. There are so many I wish I could put all of them and feature them all!! Building maintenance has been the most challenging part – the boring stuff! Do you have any advice or tips for someone who is looking to open a female focused coworking space? It is really important to strike a balance between co-working (hot desking), private offices (anchor tenants), event space / collaborative areas and meeting rooms. You need the right balance of all 4 in order to create the best, most functional and most viable space. How would you like people to remember you and One Roof Women? Check out One Roof Women on Coworker.com. One Roof is B Corp certified. We offer a one week free co-working pass: you can register here . We have been featured in the media quite a bit.